Your tour guide will wait you at the exit of the airport. A paper board with your name on will be held. Be transferred safely to the hotel. Start today’s tour at Shanghai World Financial Center, which is the highest building in Shanghai. And then we will visit Shanghai Urban Planning Exhibition Hall, which shows the achievement of Shanghai city planning and construction. After Chinese lunch, head to Yuyuan Garden, one of the most famous gardens in China, after that move on to Silk Factory. Finally we go to the Bund, which is one of the most recognizable architectural symbols of Shanghai. After western breakfast at hotel, you will be transferred to airport and fly to Xian. Xian airport pickup and transfer to hotel by local tour guide. After lunch, visit the Shaanxi Provincial Museum , one of the four largest museums in China. Move on to visit City Wall, one of the largest ancient military defensive systems in the world. 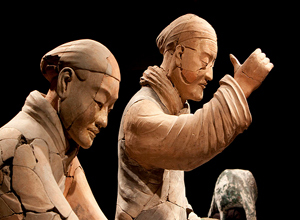 Drive to the famous Terracotta Warriors and Horses, one of the world’s most remarkable archaeological finds. 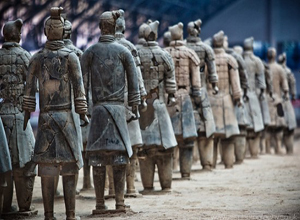 Drop by the Xian Art Pottery Factory to see the copies of Terracotta Warriors. Finally head to the Big Wild Goose Pagoda, one of the most famous Buddhist pagodas in China. Be transferred to airport and fly to Beijing after breakfast. A leisure Hutong tour is waiting for you to explore the zigzag lanes and see how local people lead their lives. Then take a visit to Pearl Factory. This morning we first visit the Temple of Heaven, China’s largest existing complex of ancient sacrificial building. In the afternoon we are able to witness the Great Wall, one of the seven wonders in the world. Mutianyu Great Wall is selected which is less crowded (round way cable car included). Morning visits at Tiananmen Square, the biggest city center square in the world, and the majestic imperial palace Forbidden City. Afternoon soak in the Summer Palace, the most celebrated imperial garden in China. Free time before departure; be transferred to airport and fly back to your hometown. End of our service. *China internal flights: Shanghai-Xian, Xian-Beijing. In the morning, we are heading to Shanghai Urban Planning Exhibition Hall, which shows the achievement of Shanghai city planning and construction. 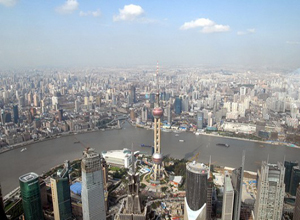 Then take a visit to Shanghai World Financial Center, the highest building in Shanghai. Afternoon we are going to Yuyuan Garden. Later on move to Silk Factory, and then soak in the Bund. Acrobatics Show is your optional choice in the evening. This morning, we are driving to Tongli, take a cruise in Tongli Water Town, famous for their ancient buildings, bridges, canals, and ways of life that have not changed in centuries. Then you will be Transferred to Suzhou city. This morning your tour will start with Humber Administrators Garden, later on have a look at the Grand Canal. Afternoon roaming on the suzhou old streets and Hutongs with rickshaw. 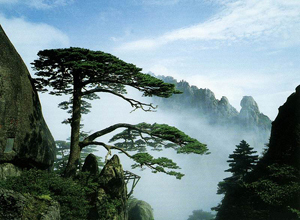 Then you will be transferred to railway station and take a soft sleeper overnight train to Huangshan. Our tour guide will pick you up at Huangshan railway station. We will pay a visit Yellow Mountain, one of the most famous and beautiful mountains in China, it was enlisted as a World Heritage Site by UNESCO in 1990. Appreciate the sunrise in the morning, later you will be transferred to Hongcun Village and Xidi Village, which were listed as World Heritage Sites by UNESCO in 2000. 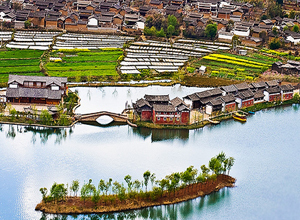 These two villages are the most representative local-style residences in southern Anhui Province. Finally take the train back to Hangzhou and be transferred to your hotel. *China sofe seat train tickets: Suzhou-Huangshan, Hangzhou-Shanghai. In the morning, tour guide will show you to the Shanghai World Financial Center, the highest building in Shanghai.Later, we will visit Shanghai Urban Planning Exhibition Hall, which shows the achievement of Shanghai city planning and construction. After Chinese lunch, take a walk to beautiful Yuyuan Garden, one of the most famous gardens in China, after that soak in the Bund, which is one of the most recognizable architectural symbols of Shanghai. Then you will be transferred to the hotel. Acrobatics Show is your optional tour in the evening. After western breakfast at hotel, we are driving to Zhujiajiao and take Cruise in Zhujiajiao Water Town, an ancient water town beseting in lakes and mountains. After lunch, your tour guide will transfer to airport and fly to Chengdu. This morning, we are heading to Chengdu Research Base of Giant Panda Breeding and visit panda bears, to enjoy an intimate contact with panda and learn more about this endangered spice. In the afternoon, pay a visit to Wenshu Temple and sit in its special tea house to have a cup of Chinese tea as locals usually do. After, you will take a leisurely stroll along Jinli Old Street. 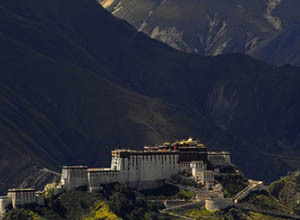 In the morning, You will have free time before departure, then Our tour guide will take you to airport and fly to Lhasa. Your tour will start with Potala Palace, as a holy land of Tibetan culture, everyday hundreds of common Tibetans trek miles and months to worship the Palace for their tradtional beliefs and family’s blessing. After Chinese lunch , pay a visit to Jokhang Temple, the cradle of Tibetan Buddhism and the city center of old Lhasa, and then walk the pilgrimage route with local devotees and wheel the holy wheelers at Barkhor Street. Today, we will tour Sera Monastery, one of the three largest monasteries in Tibet and is quite famous for its traditional Buddhism scripture debates. Then come to Drepung Monastery, an ancient temple once housed 10,000 monks in its heyday. In the afternoon, soak in Norbulingka, which is known as “the Summer Palace of Tibet. Morning, we are driving to Shigatse and pay a visit to the Palgor Chorten, after chinese lunch, touring to Yomdrok Lake, one of the three largest sacred lakes in Tibet and regarded as the embodiment of goddess according to the mythology. This morning, we are going to visit Tashilunpo Monastery, one of the Six Big Monasteries of Gelugpa (or Yellow Hat Sect) in Tibet. After lunch transfer back to Lhasa city. After western breakfast at hotel, you will have free time before departure, then transfer to airport and fly to Xian. In the morning, we are going to visit Terracotta Warriors，which is reputed as the ‘Eighth Wonder’ of human beings. Afternoon we are touring to Big Wild Goose Pagoda, the symbol of this ancient capital city whose appearance is a square pyramid in the color of brick-red. The tour ends with Shaanxi Provincial Museum. Dumpling Banquet, Tang Dynasty Dances and Music is your optional choice. Today, tour guide will transfer to airport and fly to Beijing. After chinese lunch, we will pay a visit to Summer Palace, a fantastic royal garden to admire the peaceful landscape and magnificent architecture. Peking Opera is your optional choice in the evening. After breakfast, we are touring to Tiananmen Square, the biggest city center square in the world. Then have a stroll on Forbidden City, the best-preserved imperial palace complex in China. In the afternoon, soak in the Hutong with rickshaw, then Transfer back to hotel. This morning, we are heading to Mutianyu Great Wall, one of the greatest miracles in the world which winds up and down across mountains, grasslands, deserts and plains of China like a huge dragon. After lunch pay a visit to Temple of Heaven, where the emperors offered sacrifice to the heaven in ancient time then transfer back to hotel. Chinese KungFu Show and Quanjude Roasted Duck dinner is your optional choice in the evening. Our private transfer will drive you to the airport and fly back to your hometown, end of our service. *China internal flights: Shanghai-Chengdu, Chengdu-Lhasa, Lhasa-Xian, Xian-Beijing. In the morning, visit the historic Tiananmen Square and the majestic imperial palace Forbidden City, where 24 Chinese emperors had lived. After lunch, an Hutong rickshaw trip will lead to see the past face of Beijing-the narrow Hutong alleys and old courtyard houses. Drop by the cultural Pearl Factory before visiting the Temple of Heaven where emperors hosted grand sacrifice ceremonies to heaven for good harvest. It is so pleasant to spend the morning on the spectacular Badaling Great Wall, the most popularly visited section of Great Wall. Drop by the Cloisonne Factory to appreciate Chinese handicraft culture. In the Ming dynasty imperial tomb cluster, we will visit the ancestral tomb-Changling of Ming Tombs and the Sacred Way. Take a leisurely walk in the enchanting imperial garden Summer Palace. Our first stop in Xian is the most famous Terracotta Warriors and Horses-hundreds of real-size army has guarding the tomb of the first Chinese emperor for more than 2000 years. After breakfast at hotel, we will head to Chongqing by air; Chongqing airport pickup and transfer to hotel. Drive to the Ciqikou Old Town, known for its well-preserved Ming and Qing dynasty buildings. Then visit the Panda Room at Chongqing Zoo. Be tranferred to Chongqing Pier and board your cruise to Yangtze River. Shore excursion to Fengdu Ghost City. It is interesting place to learn about Chinese ghost culture. Changing a small boat to take a shore excursion to the beautiful Shennong Stream. 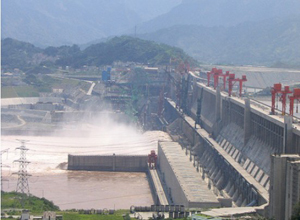 Disembark in Yichang, and witness the impressive Three Gorges Dam, so far the largest water control project in the world. Be escorted to airport and take the flight to Shanghai. Shanghai airport pickup and transfer to hotel. Start the day by visiting Oriental Pearl TV Tower, the highest TV Tower in Asia at 468 m. Have a amazing view of modern Shanghai. Then transfer to the first-rate Shanghai Museum. After lunch, take a relaxing walk in the classical Chinese Yuyuan Garden. Drop by the Silk Factory to buy fine silk products. Finally come to the two must-see Shanghai attractions-the Bund and Nanjing Road, where you can trace Shanghai’s past by the different foreign style buildings. *China internal flights: Beijing-Xian, Xian-Chongqing, Yichang-Shanghai. Walk through Tian’anmen Square, which is the a symbol of China. Then move on to the nearby Forbidden City, which is home to 24 emperors between 1368 and 1911. Afternoon visit at Temple of Heaven where emperors whorshipped god of heaven for good harvest. Drop by the Tea House to learn about Chinese tea cutlure. Drive back downtown to visit the beautiful royal garden-Summer Palace. 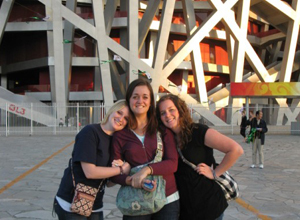 Pay an exterior visit to the Bird’s Nest and Water Cube for photo fun. Move on to the old Hutong area to take a relaxing Hutong rickaw trip along the old Beijing neiborhood. You will have chance to pay visit to local Hutong family, learn to make Chinese dumplings and have Chinese lunch together. Be transferred to airport and fly to Xian. Pick you up at Xian airport and transfer to hotel. Afternoon visit at City Wall. It is popular to cycle on the top of the City Wall (surcharge). The Big Wild Goose Pagoda is a beautiful Buddhist building that houses valuable Buddhist relics. Visit the Shaanxi Historical Museum to know more about Chinese history. Be transferred to airport and fly to Guilin. Pick you up from Guilin airport and transfer to hotel. Drive back to Guilin city. 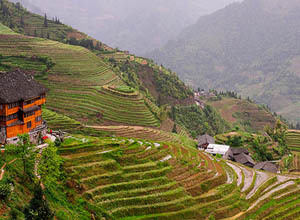 Take a pleasant Cruise in Li River, get off in the rural and scenic Yangshuo town. Have a leisure stroll on the West Street, where is lined with exotic shops opened by foreigners from different countries. Have a short hike at the Moon Mountain with a cresent-like hole in the middle. The 500-year old Big Banyan Tree is like a giant umbrella. Transfer to airport and fly to Shanghai. Pick you up Shanghai airport and transfer to hotel. Today we will visit Shanghai’s most important attractions. The Yuyuan Garden is a renowned classical garden. The exquisite layout, beautiful scenery and the artistic style of the garden architecture have made the garden one of the highlights of Shanghai. The landmark building Shanghai World Financial Center gives a panorama of Shanghai. The Jade Buddha Temple is popular tourist destination for its two magnificent white jade Burmese Buddha statues. The drop-by visit to Silk Factory provides you opportunity to learn about Chinese silk culture. The Bund and the Nanjing Road represent the most important attractions in Shanghai. The Bund is a riverfront area famous for its view, and the Nanjing Road is a famous upscale shopping street. Free time before being transferred to airport for departure. Wish you a pleasant journey. *China internal flights: Beijing-Xian, Xian-Guilin, Guilin-Shanghai. Your tour guide will be at the exit of the airport. A paper board with your name on will be held. Transfer you safely to the hotel. This morning, you will visit the world’s largest urban center square, Tiananmen Square. Walk through the square to the Golden Water Bridge, you will enter the largest as well as best-preserved imperial palace complex, Forbidden City. In the afternoon, drop by silk factory and soak in the Hutong with rickshaw, which let you know the real life of local people. Today, we are heading to Mutianyu Great Wall(with round trip cable car), one of the seven wonders all over the world. After simple lunch, pay a visit to Cloisonne Factory. Soak in Temple of Heaven, which is the largest ancient imperial worship architecture group in the world. Come to Summer Palace, a world-reputed royal garden used for the royal family’s entertainment. Have a exterior visit to Bird’s Nest and Water Cube. Fly to Xian. Pay a visit to Terracotta Warriors, one of the greatest achievements in archeology history of the 20th century. Drop by Xian Art Pottery Factory, roam on the City Wall, one of the largest ancient military defensive systems in the world. The beautiful architecture Big Wild Goose Pagoda is waiting for you. Continue our tour in Xian by visiting Shaanxi Provincial Museum, where the best cultural heritage of Shaanxi Province is housed, and soaking in the Great Mosque. Tranfer to airport and fly to Guilin. 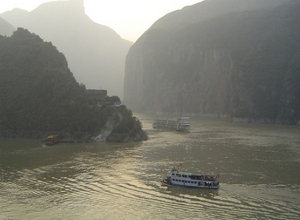 Today, the cruise tour on Li River will be an unforgettable experience. Roam on the West street in Yangshuo to relax in the exotic bars and buy interesting local things as souvenirs. Be tranferred to Guilin city. Morning tours to the heavenly Reed Flute Cave, vivid Elephant Trunk Hill, and the strange Fubo Hill with half of its body standing in the river, the other half on land, as well as the cultural Pearl Factory. After lunch, be delivered to airport and fly to Hong Kong. Hong Kong airport pickup and hotel transfrer included. Hong Kong is charming as a fascinating integration of oriental and western cutlure. We lead you to its best attractions. The Victoria Peak is the number one tourist destination in Hong Kong. Flocks of people come to the observation deck to have a bird’s view of the amazing city. The Aberdeen Harbor serves as the floating home of thousands of people who live in the junks and sampans. The Repulse Bay is the most famous beach of the city as well as a unique residential area. Free time before departure, transfer to airport. Wish you a pleasant journey home. *China internal flights: Beijing-Xian, Xian-Guilin, Guilin-Hong Kong. Your tour guide will be at the exit of the airport. A paper board with your name on will be held; transfer you safely to the hotel. This morning, you will visit the world’s largest urban center square, Tiananmen Square. Walk through the square to the Golden Water Bridge, you will enter the largest as well as best-preserved imperial palace complex, Forbidden City. In the afternoon, drop by silk factory and soak in the Hutong with rickshaw, which lets you know the real life of local people. Today, we are heading to Mutianyu Great Wall(with round way cable car), one of the seven wonders all over the world. After simple lunch, pay a visit to Cloisonne Factory. Soak in Summer Palace, a world-reputed royal garden used for the royal family’s entertainment. Soak in Temple of Heaven, which is the largest ancient imperial worship architecture group in the world. Be transferred to airport and fly to Xian. 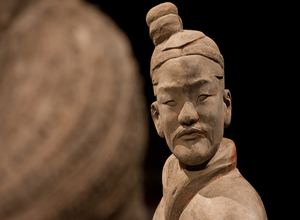 Pay a visit to Terracotta Warriors, one of the greatest achievements in archeology history of the 20th century. Drop by Xian Art Pottery Factory, and then roam on the city wall, one of the largest ancient military defensive systems in the world. The beautiful Buddhist architecture Big Wild Goose Pagoda is waiting for you. Continue our tour in Xian by visiting Shaanxi Provincial Museum, the best cultural heritage of Shaanxi Province is housed, after lunch, be tranferred to airport fly to Guilin. 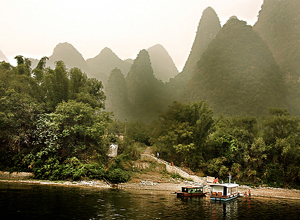 The Li River cruise to Yangshuo will be an unforgettable experience. Roam on the exotic West street in Yangshuo, a charateristic comercial street with a history of more than 1,400 years. Be tranferred to Guilin city. Visit Reed Flute Cave, which was formed 200 million years ago. Continue to Elephant Trunk Hill, symbol of Guilin. Roam to the grotesque Fubo Hill with half of its body in water and half on land, and then drop by Sea Water Pearl Museum to learn pearl culture. Be delivered to the airport and take the flight to Shanghai. In the morning, we are heading to Yuyuan Garden, a famous classical garden in Shanghai. Then take a visit to Shanghai Museum, a large museum of ancient Chinese art. Afternoon we are going to Jade Buddha Temple, famous for the two jade Buddha statues brought from Burma. Later on move to Silk Factory to know silk culture. In the morning, we are touring to Shanghai Urban Planning Exhibition Hall, which shows the achievement of Shanghai city planning and construction. Then take a visit to Shanghai World Financial Center, the highest building in Shanghai. Afternoon transfer to airport and fly to Hong Kong. 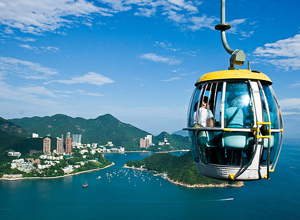 Visit Victoria Peak, Hong Kong’s number one tourist destination. Then move on to the Aberdeen Harbor, the floating home of thousands of people living on boats. Continue to see the Repulse Bay, the most famous beach in Hong Kong and one of the city’s most unique residential areas. Tour ends with Stanley Market,best place for shopping. *China internal flights: Beijing-Xian, Xian-Guilin, Guilin-Shanghai, Shanghai-Hong Kong. Have a pleasant morning in the beautiful imperial garden Summer Palace, drop by Pearl Factory to know pearl culture. Our first stop in Xian is the most famous Terracotta Warriors and Horses-hundreds of real-size army has guarding the tomb of the first Chinese emperor for more than 2000 years. The drop-by visit to the Xian Art Pottery Factory gives you oppotunity to buy copies of Terracotta Warriors and Horses as souvenirs. Be transfered to airport and fly to Dunhuang. Dunhuang airport pickup and transfer to hotel. After breakfast, we are going to Mogao Grottoes, a world reputed Buddhist art treasure, history of over 1,600 years. After lunch, you will experience a short camel ride along the Echoing Sand Mountain to reach the Crescent Lake, a natural wonder that the crescent-shaped spring surrounded by the endless Gobi desert. Transfer back to hotel. Morning, we are going to the Great Wall of the Han Dynasty, roaming to Desert Discovery at Yadan Landform Park, be transferred to Railway Station and take an overnight soft sleeper train to Turpan. 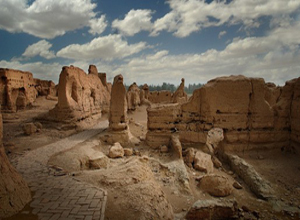 In the morning, you will visit Jiaohe Ruins, which is one of the most important towns along the ancient Silk Road. Then you will visit the famous Karez Well, the gigantic underground irrigation system created by ancient Xinjiang people. Continue to Crape Valley, drop by Turpan Carpet Factory, drive back to hotel. Our tour will start with Heavenly Lake, relic of the Quaternary Period Glacier and its surrounding geological relics. 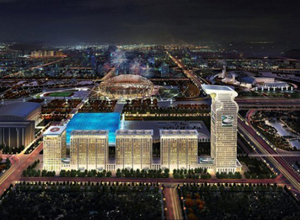 Then transfer to airport and fly to Kashgar, Kashgar airport to hotel transfer. This morning, we are heading to Id Kah Mosque, a 500-year-old important mosque for the locals. Pay a visit to Zhiren Street, soak in Sunday Bazaar, a famous local market which is considered the largest international trade market in northwest China.Transfer back to hotel. Today, we will visit Lake Karakuli first, resembling a glittering pearl embedded among the alpine peaks, reflecting the surrounding snow-capped mountains. After lunch, be transferred to airport and fly to Urumqi. After breakfast, be transferred to airport and fly to Shanghai, visit Yuyuan Garden, a famous south China classical garden with pavilions, bridges, and streams. Finally we will stroll in the symbolic attractions of Shanghai-the Bund where you can trace Shanghai’s past and Nanjing Road, the famous pedestrian shopping street in the world. Today our tour will start with Oriental Pearl TV Tower, the world’s third tallest TV and radio tower surpassed in height only by towers in Toronto and Moscow. Come to Shanghai Museum, soak in Jade Buddha Temple, famous for the two jade Buddha statues brought from Burma. Drop by silk factory. Morning, you will have free time before departure. Later on transfer to airport and fly back to your hometown. *Luggage transfers between airports/raiway station and hotels.